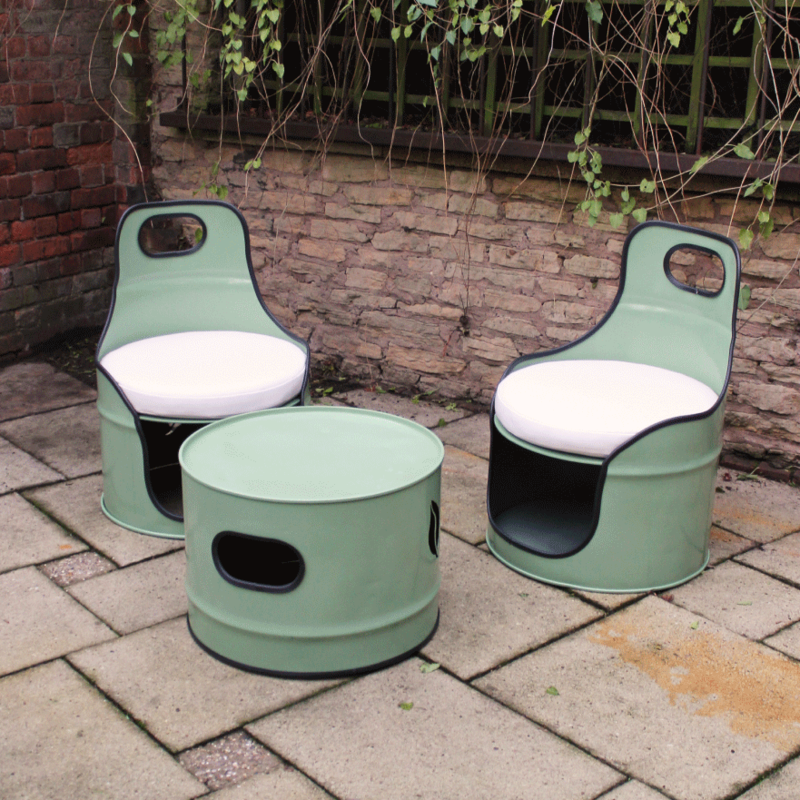 A unique, retro bistro set made from an upcycled oil-drum. 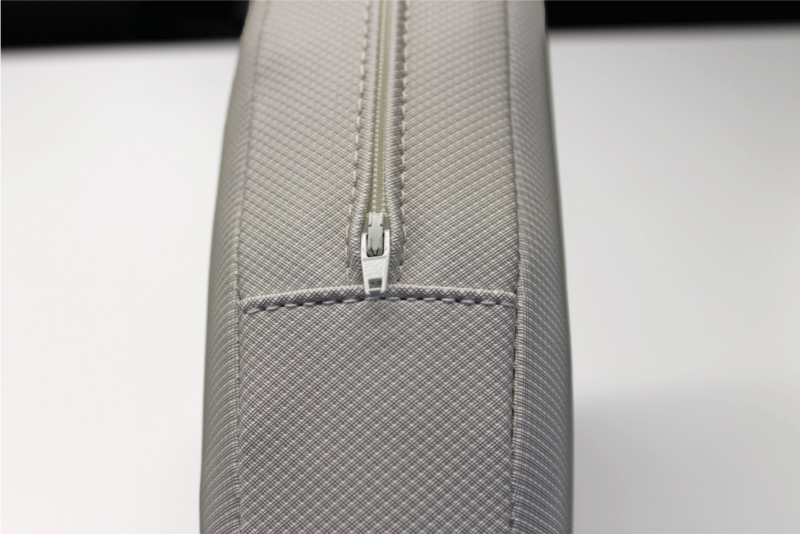 Our Lusso fabric is flame resistant, temperature resistant -23°C, UV-resistant 1000 hours and mildew resistant. 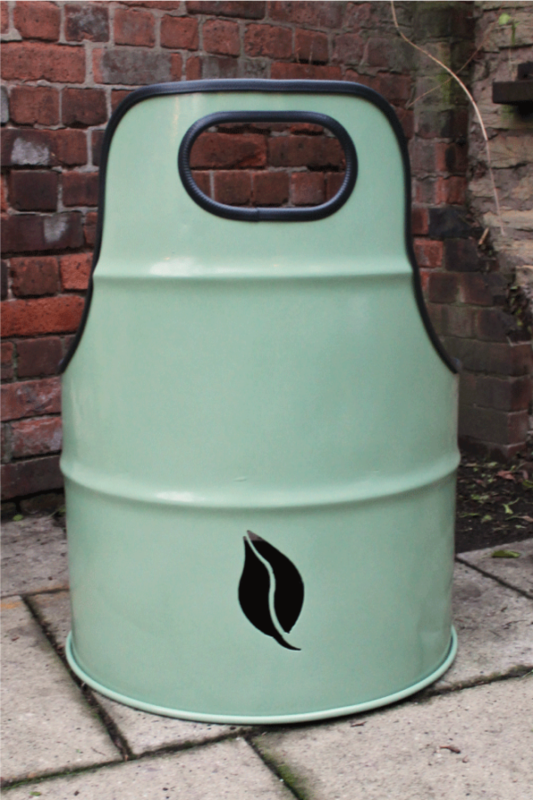 It is suitable for outdoor use and can be cared for with warm, soapy water. 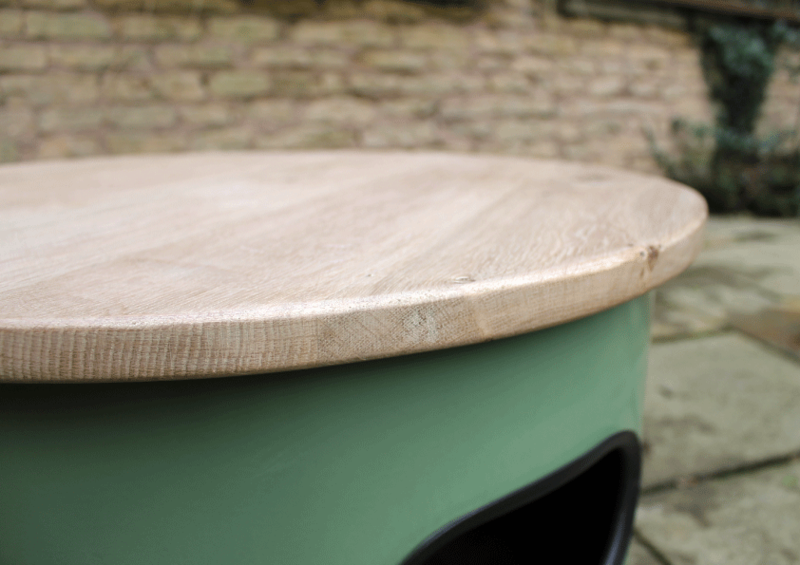 Add on a custom-made, oak table top for added luxury. 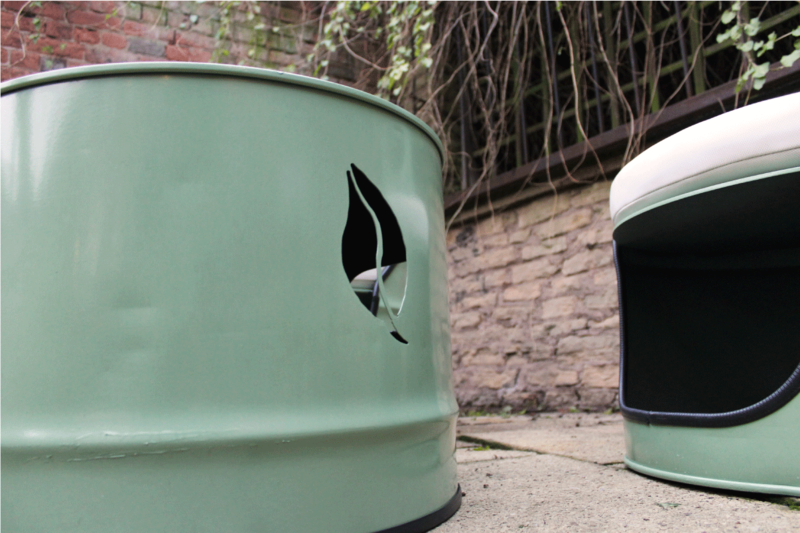 This upcycled bistro set takes previously discarded drums and turns them into a unique bistro-set. These sets are available in a wide variety of colours. 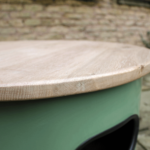 Every piece is made from authentic, disused drums and so the exact finish of each set may vary. 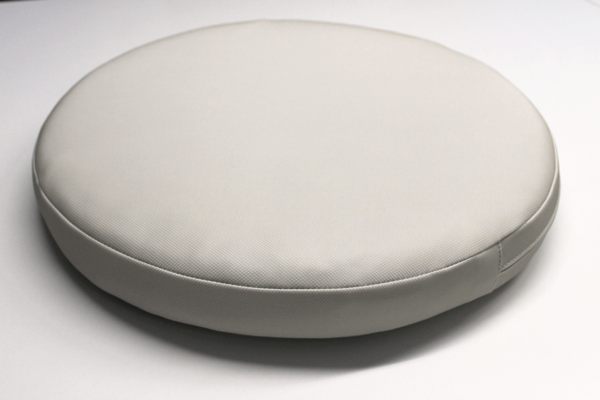 Cushions are included with this set, including case and stuffing. 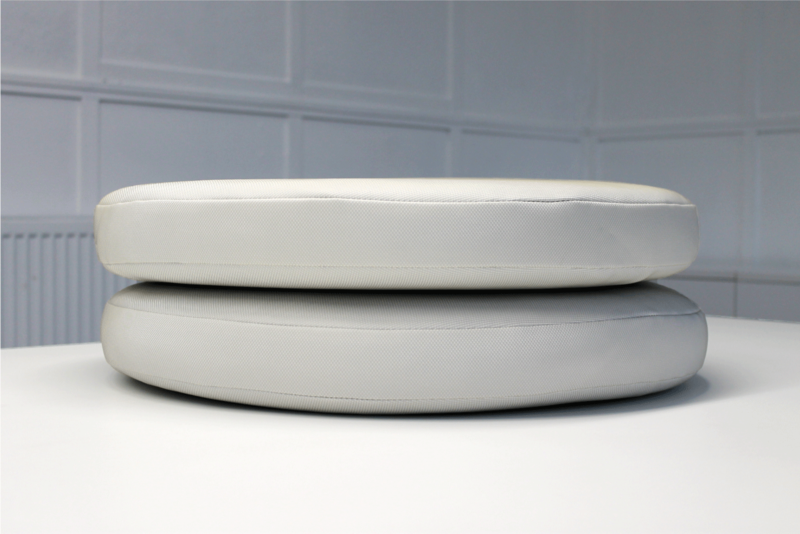 With the set, you will receive two high-quality cushions, made specifically to fit the bistro set. We offer these cushions in 15 different colours, making for 450 different combinations of paint and cushion colour! Find the perfect combination for your garden. 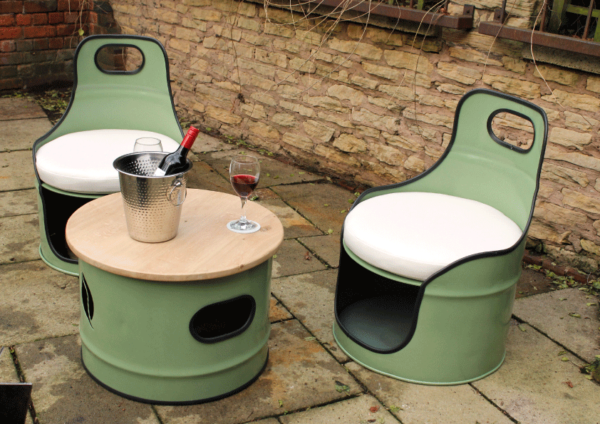 The Upcycled Bistro Set is perfect to add a quirky feature to your garden. After a personalised version of this bistro set? Get in touch! Be sure to read our finishes guide to ensure you get the finish perfect for your space.